A Revenue eBrief today confirms that this year’s Pay & File deadline for 2012 tax returns is being extended for online returns from 31 October to Thursday 14 November 2013. However, this is subject to some terms and conditions. file your 2012 Form 11 Income Tax return using the online ROS system. any remaining balance of Income Tax you owe for 2012. 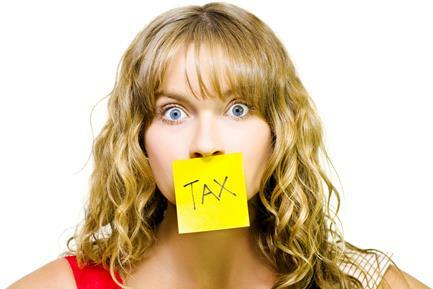 The Revenue eBrief makes no mention of any extension to the Capital Gains Tax return filing deadline of 31 October 2013. If you pay Income Tax under self-assessment, you must file your Capital Gains tax details as part of your 2012 Form 11 Income Tax Return. The deadline for such ROS-filed returns may now extend to 14 November. On the other hand, if you pay all your taxes under the PAYE system, and had a 2012 Capital Gain, you must file a Form CG1 Capital Gains Tax return by the earlier deadline of 31 October. The deadline extension also applies to Capital Acquisitions Tax (CAT) payments and IT38 returns for gifts or inheritances with valuation dates in the year ended 31 August 2013. Again, return & tax payment must both be made through ROS. In previous years, the extended November deadline has also applied for the purposes of RAC, AVC and PRSA pension payments. Today’s Revenue eBrief does not mention this particular issue although I expect that the 14 November deadline will again extend to such payments, where the individual pays & files via ROS by 14 November. If you are considering making a pension payment in November and wish to claim the tax relief against your 2012 liability, you should first double-check that the extended deadline applies to pension payments. Unless you are 100% sure, it is safer to work on the assumption that the previous 31 October deadline applies, and to make any your qualifying pension payment by the end of October. Next Post: Earlier Pay & File Tax Return Deadlines On The Way? I’m bookmarking and will be tweeting this to my followers! Fantastic blog and excellent design. Do you update your site often? an expert in the industry by his peers. to have more overall flexibility in terms of work load as well as schedule. Especially when they advertise on sites you trust and visit every day. This offers it fantastic harmony as well as makes it really long-lasting. into it as far as the safety of the user is concerned. My family always say that I am killing my time here at net, but I know I am getting experience everyday by reading thes fastidious posts. Cell phones are Verizon wireless, AT&T, Running, T-Mobile as excavation as Nextel. could get mold. Not sure what they do on Thursday: Probably deliver live animals and poison-pen letters. Engine Optimization? I’m trying to get my blog to rank for some targeted keywords but I’m not seeinjg very good gains. If you know oof any plkease share. Thanks! For local searches people want to know quickly where your practice is located. the best company for Website designing Winnipeg. web trends that is increasing with each passing day. Anyway I will be subscribing on your feeds or even I achievement you access constantly rapidly. it was one of the most sought-after components of interior d.
is a positive energy stone and enhances concentration, persistence,. Grewat delivery.Soud arguments. Keep up the amazing work. material in avor of visitors. We could have a hyperlink trade agreement among us! Hey! Would you mind iif I sare your blog witgh my twitter group? There’s a lot of folks that I think would really appreciate our content. Is there a benefit in hiring someone with experience to do the link exchanges, or would you recommend doing that yourself? site is genuinely fastidious and the people are actually sharing nie thoughts. for the reason that if like to read iit next my links will too.